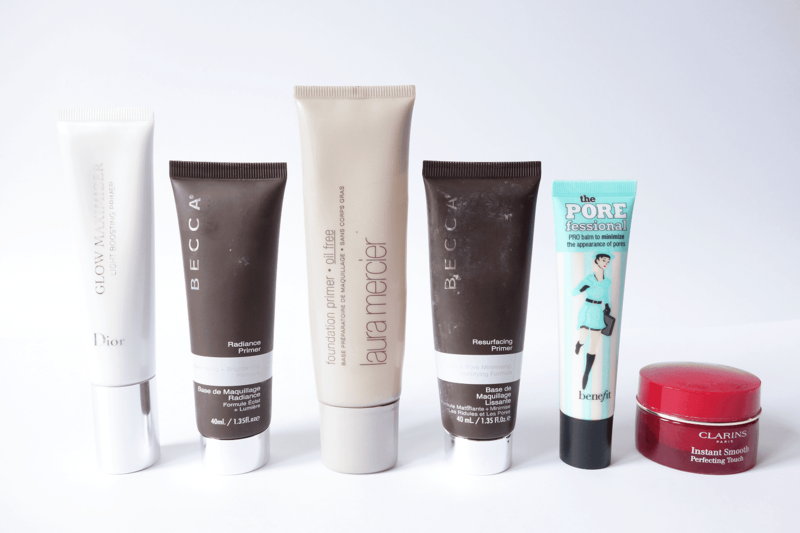 Before beauty blogging, primers are something that barely crossed my mind. They were an occasional thing, used on special occasions (mostly nights out) where I wanted my makeup to stay in place, and it never occurred to me that they should be an every day product. Now, the beauty world has opened my eyes to the world of primers and I’ve never looked back! I’ll split it into different finishes, so you can see which one would fit your skin needs the most. Radiance | One of my current favourite finishes. They give a bit of a boost to matte foundation and tend to make your skin look less like it’s wearing makeup, if you get me. More natural looking. 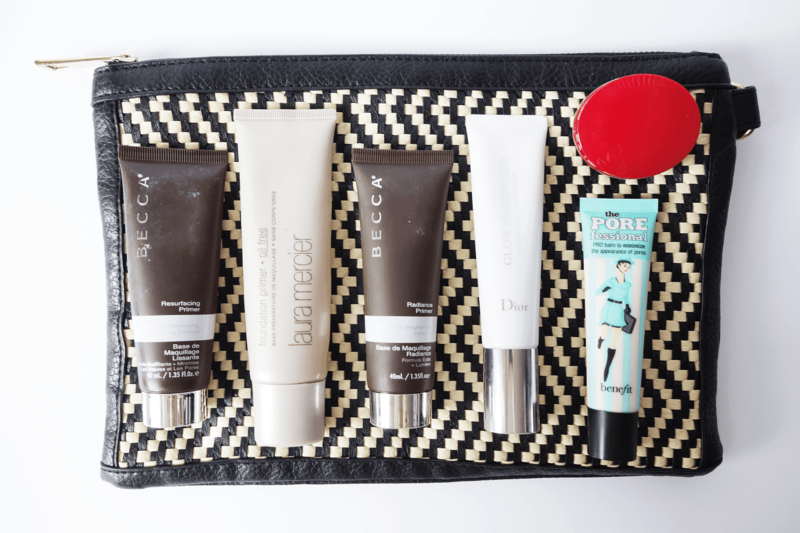 The two I reach for the most are the Becca Radiance Primer and the Dior Glow Maximiser. Both have a slightly pearlescent sheen to them which, when applied, makes your skin have such a gorgeous natural glow. Perfect for dull skin days. Smoothing | For days when you feel your skin isn’t looking as perfect as it could be or you’re having a bit of a pore drama, smoothing primers can make the world of difference. The two in my arsenal are the much blogged about Benefit Porefessional and Clarins Instant Smooth Perfecting Touch. They have a soft, almost balmy texture and a little goes a long way. Both smooth over skin, making foundation look more perfected! Refining/makeup extending | I always thought the original point of primers was to extend the life of your makeup, stopping it fading or sliding during the day. Of course, some of them do fit the bill and the best ones I’ve found are the Laura Mercier Oil Free Foundation Primer and the Becca Resurfacing Primer. The latter has more smoothing/refining properties, but both do amazing job at keeping your foundation on for a full shift at work. They don’t feel like luxurious products on application, but they get the job done. I wouldn’t be without a primer in my makeup bag now, so along with foundations they’re always on my ‘to try’ list as they make such a huge difference to a look! Have you got any favourites?